Mainland Machinery / Manufacturing / Sheet Metal Fabrication; Electroplating vs Painting? Sheet Metal Fabrication; Electroplating vs Painting? Choosing a finish is an essential step in the sheet metal fabrication process. Finishes can prolong the lifespan of metal parts, improve their cosmetic appearance and increase their suitability for their intended use. There are a number of options for finishing sheet metal parts, but two of the most common are electroplating and painting. Both of these options offer distinct advantages as well as certain drawbacks depending on the product’s purpose. Electroplating is the process of attaching a thin layer of one metal, such as chrome, iridize or zinc, to the surface of another base metal, such as aluminum. The plating is chemically bonded to the surface of the base metal through electric conduction. Electroplating should not be confused with anodizing, which involves bonding an additional layer of the same metal to the base product through the same electrochemical process. Painting is more straightforward and most people are familiar with it. A primer is first applied to the base metal, followed by multiple layers of liquid paint and finally, a protective coating such as lacquer is added to protect the underlying paint. Electroplating offers a much stronger finish than paint. Depending on the choice of metal used for electroplating, the object may have better resistance to chemical corrosion or increased physical durability. For example, zinc offers additional resistance to water damage, while chrome reduces the friction on the metal’s surface and tin can be used to join aluminum, which is commonly used in sheet metal manufacturing, to dissimilar materials. Certain finishing metals can also increase paint adhesion to metal parts as well. Because electroplating chemically bonds the finish to the metal product itself, the coating expands and contracts at the same rate of the base metal itself, making it suitable for environments with drastic temperature fluctuations. However, electroplating can be expensive and uneconomical, especially when parts are small. Furthermore, the advantages offered by electroplating may be excessive if the metal product is intended for a use that does not take full advantage of the benefits offered by the process. The most obvious advantage of painting is that fabricators have a much greater degree of control over how the finished product will look. Paint comes in just about any color imaginable, meaning that there are endless options for how the final product will look. Furthermore, company and product logos can also be added to the surface to further increase its cosmetic value. Certain paints offer similar advantages to electroplating; some can increase the metal product’s resistance to chemical corrosion or physical damage, though not to the same degree as electroplating. Damage to specific areas of painted surfaces is easily repaired as paint can be applied quickly and easily to small areas of a product’s surface. Another advantage paint has over electroplating is that it can be applied to certain areas of a product’s surface if the entire product does not require finishing. 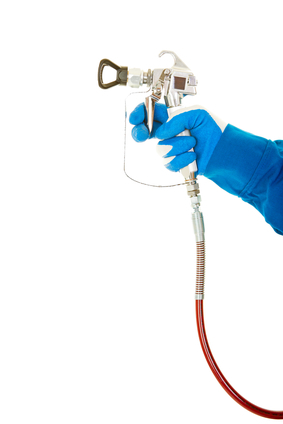 Unlike electroplating, painting is not an “all or nothing” process. Paint, however, is not as durable as electroplating. Furthermore, because paint is applied as liquid, it can take many applications to ensure a finish of even thickness and color. Electroplating and painting each offer unique advantages for finishing a sheet metal product. Ultimately, deciding on which finishing option is best for you depends on the intended use of your product. It is important that you consider all factors and the advantages and drawbacks of each before making a final decision. Is Painting similar to Spray on chrome(SOC)? I’m glad that you mentioned has a stronger finish than painting. I have been wanting something that will last a long time, and I didn’t know if painting of electroplating lasted longer. I’ll be sure to keep the strength of the finish in mind while deciding. I didn’t know electroplating is the process of attaching a thin layer of one metal, such as chrome, iridize or zinc, to the surface of another base metal. I bet that’s a really permanent way to get metal designed. I’ll have to consider using that if I need to make a sign. I’m glad to run across this blog. I really appreciate your work and I am waiting for your further posts. Thanks! I didn’t realize that electroplating can be a stronger finish than paint. I can see why this would be important to know before deciding on what to use. It seems like it would be hard to decide what to use if you aren’t familiar with the types. I’ll have to consult a professional should I ever need to do this. You share very useful tips specially advantages and drawbacks of electroplating thank you for this information. It is cool to learn about how metal fabrication can be protected. Electroplating sounds like it would be fun to see, and see a metal being covered with another metal. I wonder if that is the best way of doing it or would paint be. To be honest with you, I haven’t heard much of electroplating before. After reading the article, I now have a better understanding of how it works and what benefits it provides. For business with a tight budget, they might want to stick to painting. Electroplating can be expensive to do and might not be the most practical way either. For whatever way you want to fabricate the sheet meal, always be sure that you go with a professional. It is really nice post regarding the usage of electroplating and painting. As per my point of view Electroplating is the much better to apply on metal which is safe and efficient way rather than painting.